Stamps are among the most popular collectibles, and many collectors devote an incredible amount of time and money to their hobby. It’s a good idea to have your stamps appraised if you think they are very old or rare. A reputable appraiser can give you an accurate value for your stamps, advise you on what to do with them or point you in the direction of a good auction house if it turns out you have some rare stamps. You often can do a pretty accurate appraisal yourself with research and by asking around within the stamp collecting community. Examine your stamps carefully. Take note of the following information (if available and applicable): the stamp’s year, design, face value, condition and if it's used. Stamps already placed on envelopes are usually worth less than stamps in mint condition. You also should try to find out if the stamps are part of a complete collection or a limited edition printing. Go to your local library and check out the Scott Specialized Catalog of United States Stamps. 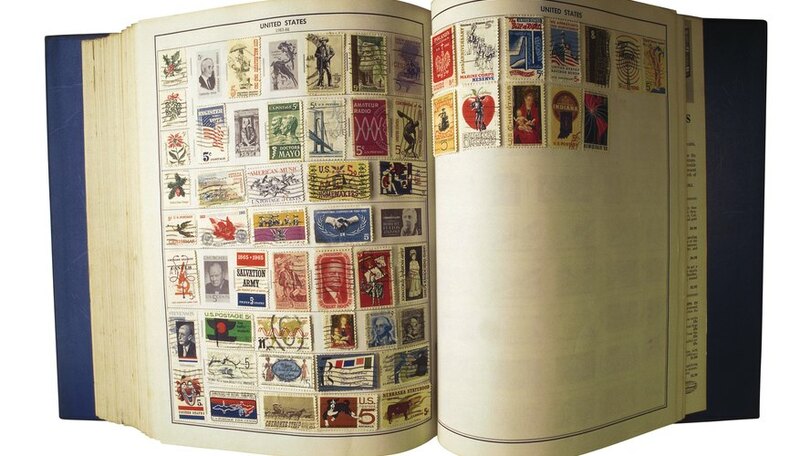 This book contains extensive listings of nearly all stamps printed in the United States and will help you find a good estimate for the value of your stamp. The Scott guide also will tell you if there are different versions of the stamp and how much each version is worth. The difference in price between a first and second printing of a particular stamp can be quite substantial. Consider the following guidelines when valuing your stamp. First, almost all stamps printed in the last 60 years are worth only their face value, usually less than $1.00. Also, don’t remove used stamps from the envelope unless advised to do so by an expert on stamps, because this could affect its value. Contact your local collectibles store and ask them to recommend a reputable appraiser so you can get more accurate pricing. Don’t be afraid to ask for more than one opinion from several different appraisers. Make sure the appraiser you use has lots of experience and good references. Preserve old stamps by keeping them in mild climates, out of direct sunlight, and out of reach of small children and pets. Don’t contact an appraiser with the intention of selling it to that person, as this obviously presents a conflict of interest. Jim's Stamp Album: What Is My Stamp Worth?